Don't wait until January 1st...Amplify 2017 now! It’s time to celebrate the end of November and with that the beginning of the last month of 2016, aka December, aka hibernation month! These next 31 days are going to be life changing, I can feel it! What better way to top off an epic year of change than with a month of transformation. I’ve created a very special guide to help you AMPLIFY 2017, I was creating it for myself initially and thought hmm… there must be someone else also looking to amplify 2017, why not share it with my peeps! 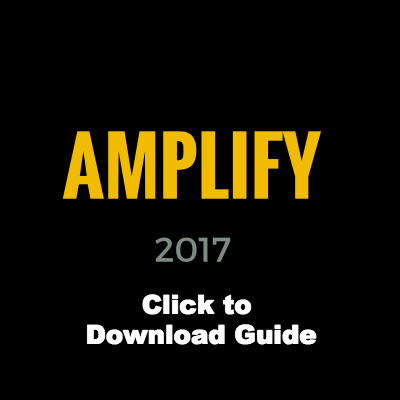 Click here to join the AMPLIFY 2017 group and the guide will immediately be emailed to you. Why end of year resolutions? Typically we step into the new year and THEN start thinking of the year ahead, it’s no wonder the first few months of the year tend to “fly by”. Energetically, December is a time of turning inwards and of self reflection. Use nature’s energy to support your growth and preparation for the year to come by really letting go of anything that is not a “hell yes”. When we let go of what keeps us on the fence, we create space for what gets us over the fence. Plus, it’s been proven over and over that New Year’s Resolutions rarely stick… Let’s try something different! It’s time! Download the guide and make shift happen. « You can’t get where you want to go, if you don’t know where you are.